I actually don’t like “Christmas in July” when it is offered as a theme or an occasion to celebrate Christmas. I can see why it is popular in Australia – as July is mid winter and our Christmas is often celebrated when the temperatures are very hot. Memories come back to me of cooking (and eating) a roast dinner (Turkey with all the trimmings) when the day was 30 plus degrees! However, I digress —- I went to a weekend gathering of quilters where the theme was “Christmas in July”. This retreat was held in a very cold place and so the theme was appropriate. Luckily for me, and the women attending, the venue was toasty-warm and we only had to brave the cold outside temperatures rarely. 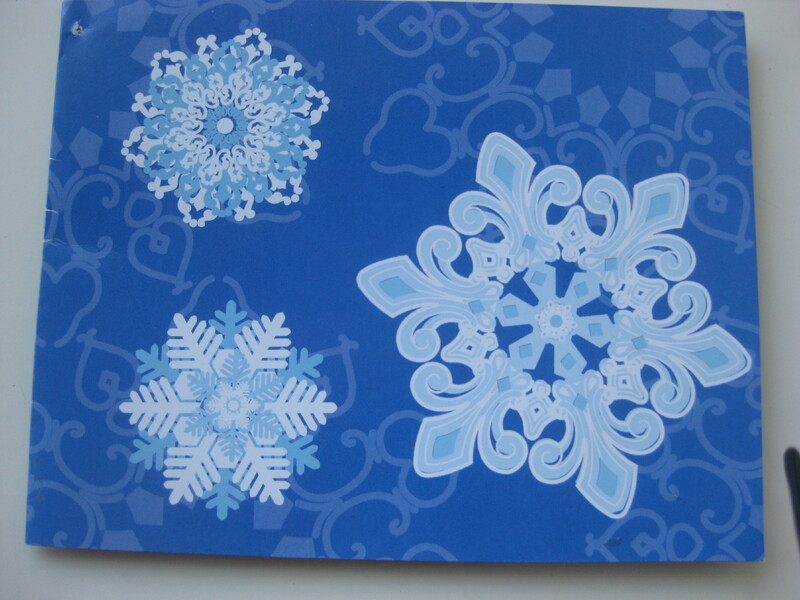 One of the challenges of the Retreat was to turn a Christmas card into a small A3 (16-1/2″ by 11-1/2″) wall quilt. We were given a card when we registered for the Retreat in the early part of the year. As usual I work best under pressure —- in other words, at the last minute. I enjoyed making up the quilt, and it always makes me use my design and patchwork skills. We were encouraged to use the card as the starting point for the completed work. 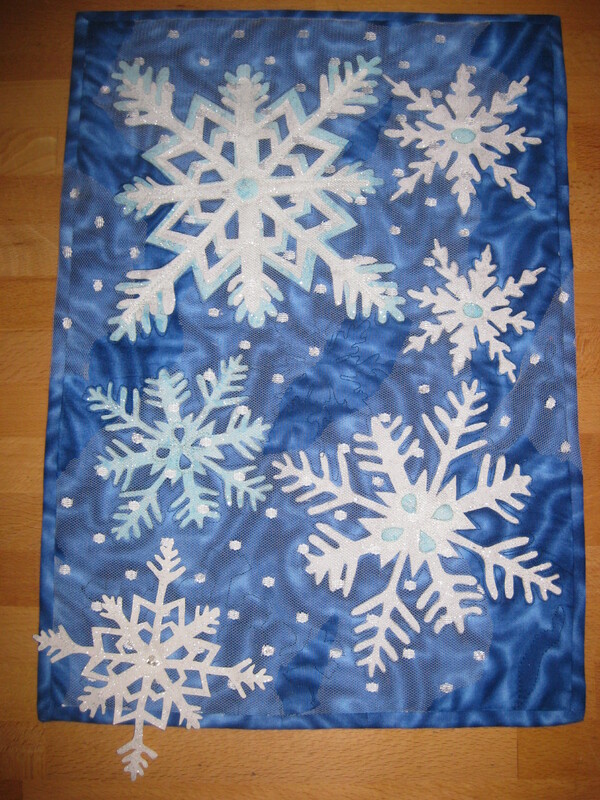 I cut out snowflakes of different sizes and two colours, and ironed them to the background fabric and stitched them down. 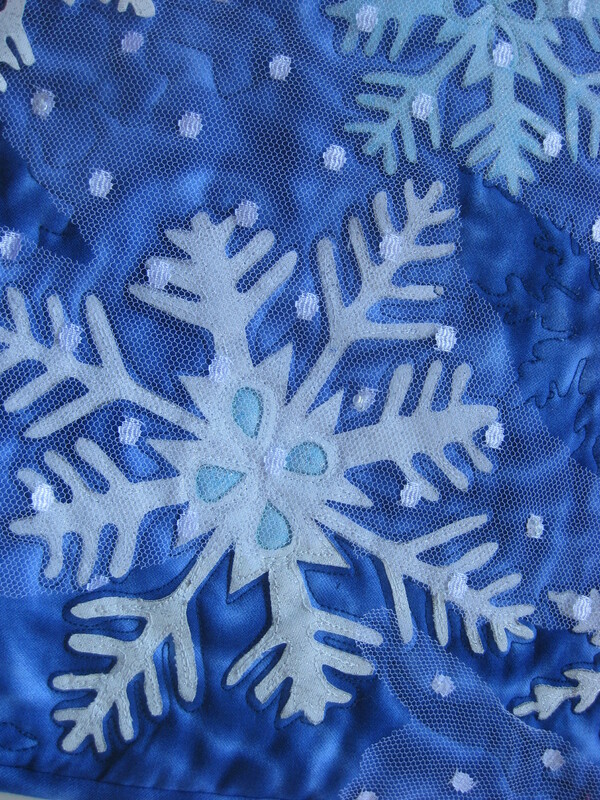 Then I quilted around all the snowflakes. 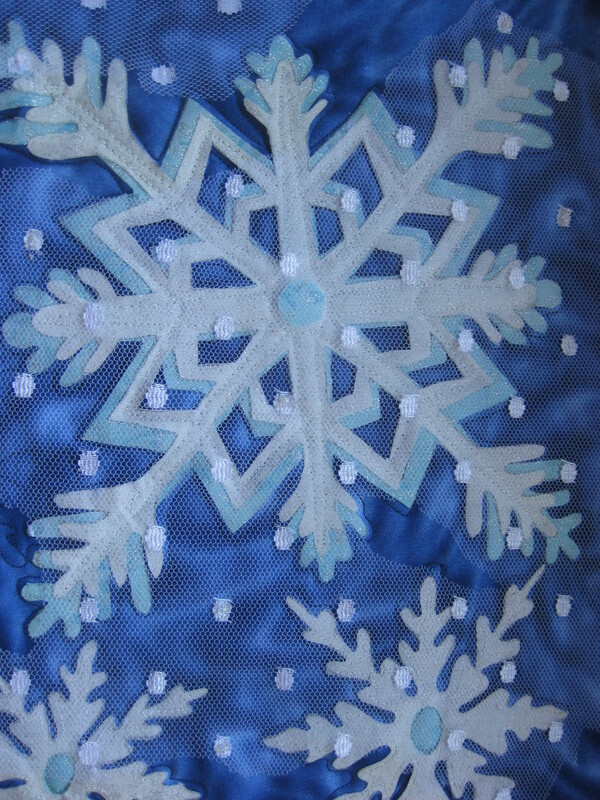 As well I constructed a three-dimensional snowflake to ‘hang’ over the end of the quilt. 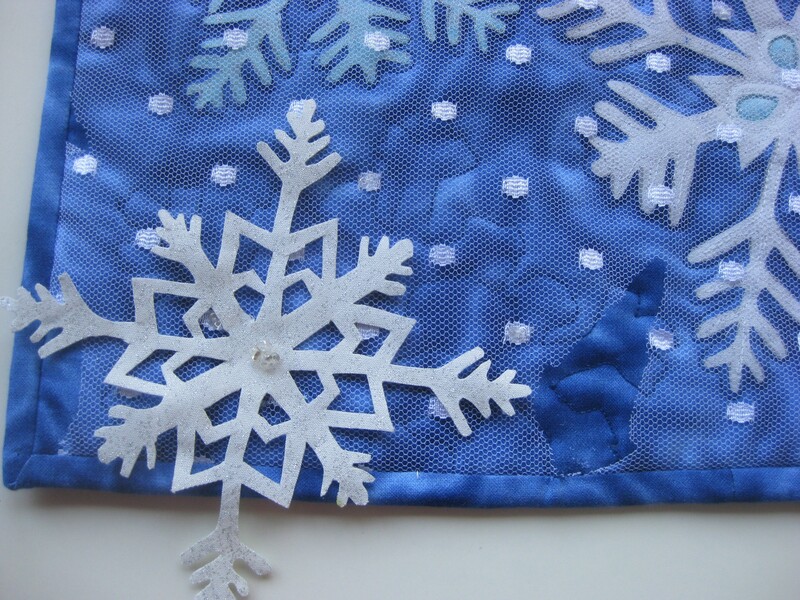 I found some tulle with ‘snow’ on it in my stash of non patchwork fabrics and placed it across some of the quilt – ripping it in parts (yes, it was hard to do that part!). 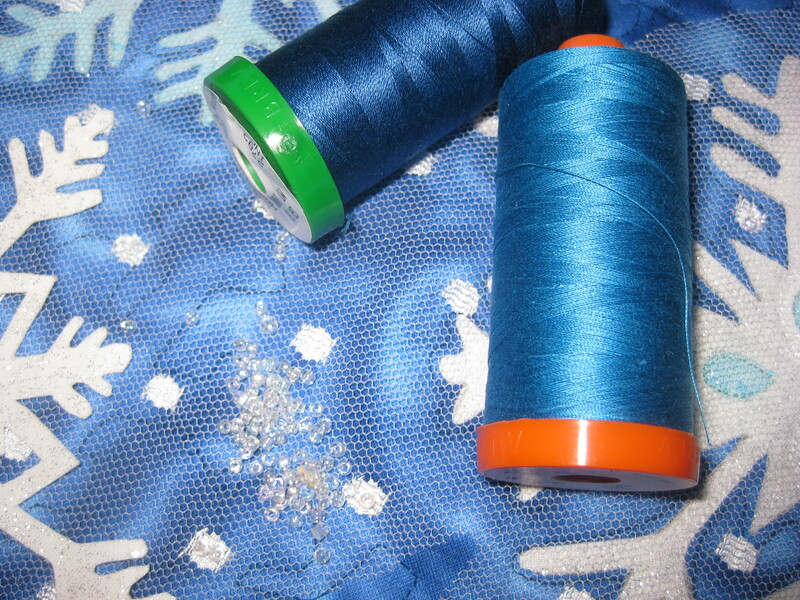 The tulle was attached loosely to the top with hand sewing and some beading with tiny glass beads. I am happy with the end result – no prizes won, but I liked going into the challenge and looking at all the entries to see what others did with their different cards. Finished – just in time!